Wipro Limited (NYSE: WIT, BSE: 507685, NSE: WIPRO), a leading information technology, consulting and business process services company, today announced that it has won a 10-year engagement to provide a comprehensive suite of solutions and services to Lincolnshire, Illinois-based Alight Solutions LLC, a leader in technology-enabled health, wealth, HR and finance solutions. This deal will result in revenues of USD $1.5 to $1.6 billion for Wipro over the tenure. This is Wipro’s largest win to date. 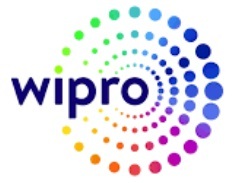 “Our industry-leading partnership with Wipro will enhance our client experience by drawing on Wipro’s leading position in automation and innovation, while allowing Alight to invest in its health, wealth and cloud-based solutions to meet the needs of our clients,” said Chris Michalak, Chief Executive Officer, Alight Solutions.